Inclusive Development International has supported indigenous communities from Cambodia’s Ratanakiri province to file complaints to the Compliance Advisor Ombudsman (CAO) of the International Finance Corporation and to engage in mediations with Vietnamese rubber developer Hoang Anh Gia Lai (HAGL), which grabbed their land and destroyed their resources. The first complaint, submitted in February 2014, details how the IFC indirectly invested in HAGL through a Vietnamese private equity fund, despite the company’s flagrant violation of Cambodian and international laws, in breach of IFC’s social and environmental safeguard policies. Indigenous communities, including the Jarai, Tampoun, Kachok and Kroeung peoples, have lost territory and suffered devastating impacts to their livelihoods, cultural practices and way of life as a result. 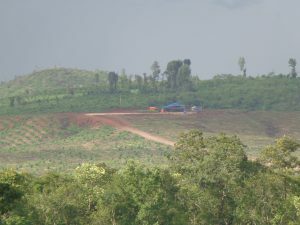 After five years of mediations, which resulted in large areas of land being returned to the communities but no compensation for damages, Inclusive Development International and our partners Equitable Cambodia and Highlanders Association supported the communities to file a second complaint to the CAO, citing new financial ties between IFC and HAGL. 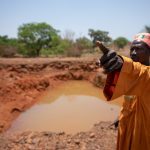 The communities lodged the second complaint because HAGL unilaterally pulled out of the CAO mediation process before reaching a final agreement with them on issues of land and water rehabilitation and compensation for damages. The communities are calling on HAGL to return to the negotiating table to resolve these issues. 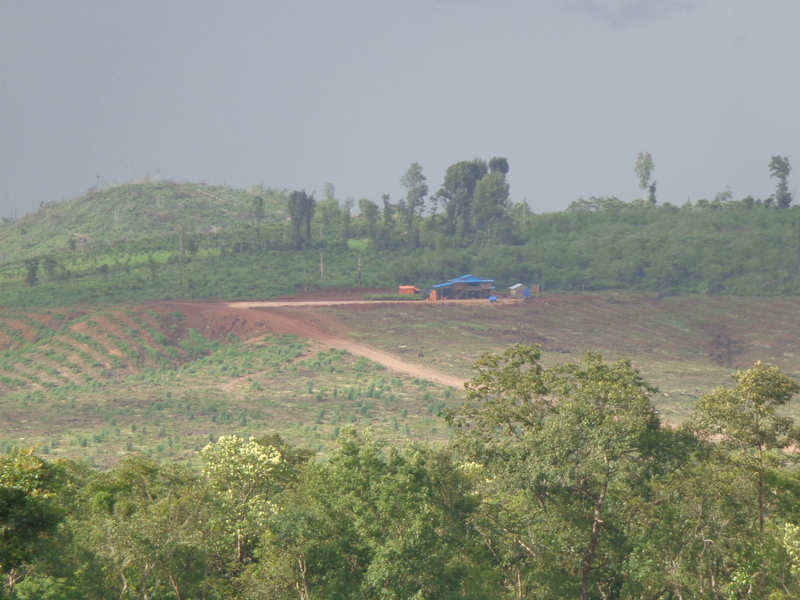 Ratanakiri’s once abundant forests have been decimated over recent years as a staggering number of large-scale land concessions have been granted to companies, primarily for rubber plantations. 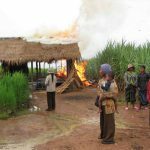 One of the companies that has benefited from the concessions is Vietnamese Hoang Anh Gia Lai (HAGL), whose landholdings cover an estimated 5 percent of the province and overlap with significant tracts of indigenous land. Among HAGL’s early investors was Dragon Capital, a Vietnamese equity fund, which the IFC held an equity stake in for more than ten years. The complaint, which was submitted to IFC’s internal watchdog, the Compliance Advisor Ombudsman (CAO), describes how the Bank failed to conduct an appropriate level of due diligence commensurate to the high-risk nature of its investment and has thereafter consistently failed to monitor and supervise its end use. The complaint sets out a litany of harms experienced by the communities, including loss of forest, grazing land, reserved land for shifting cultivation and future generations, spirit forests, burial grounds, access to resin trees and other non-timber forest products that they rely upon. 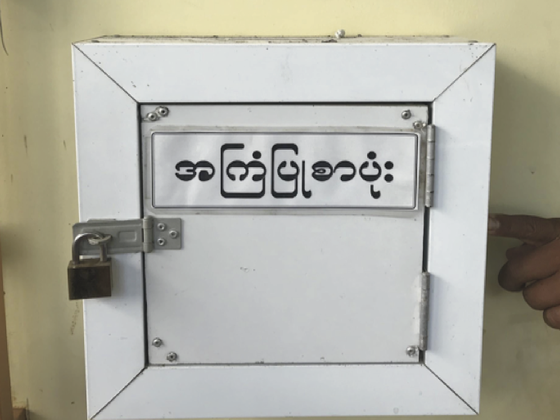 The complaint sites more than ten flagrant violations of Cambodian law, including laws that enshrine the land rights of indigenous communities, protect Cambodia’s forests, including rare tree species, and regulate economic land concessions. The IFC’s investment was channeled through an intermediary, Dragon Capital Group, which holds an equity stake in HAGL. In 2012, the CAO released a damning audit report on IFC’s “financial intermediary” investments, which represents nearly half its entire portfolio, finding that the IFC is oblivious to the environmental and social impacts of the end use of its funds. The IFC is notoriously non-transparent about its financial intermediary investments, allowing the World Bank Group to contribute significant capital to the private sector, while publicly disclosing only scant information. Between 2014-2019, Inclusive Development International supported the communities to engage in mediations with HAGL through the CAO dispute resolution process to redress the adverse impacts that they have suffered as a result of HAGL’s activities. IDI has been assisting the communities to engage in this process, alongside local partners Equitable Cambodia and Highlanders Association. In a major breakthrough in 2015, the company agreed to refrain form any further development of its plantations and to return remaining land, reducing their total concession area from 18952 hectares to 8371 hectares. It also agreed to to return or compensate communities for other land areas that belonged to them which the company had already cleared. This agreement paved the way for a joint land demarcation process to be undertaken by representatives of the twelve villages, their NGO advisors, HAGL, a provincial government working group and the CAO. IDI and local partners have assisted the community in preparing for and participating in the joint mapping exercise, and pushing for recognition of their claims in the mediations. This included training and workshops on tenure options, customary land registration, GIS mapping exercises, and a valuation of losses, among other activities. At the conclusion of the demarcation process, HAGL agreed to return 20 spirit mountains and two burial grounds to the villages. 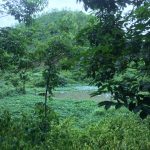 However, the communities demanded the return of all 64 areas that were demarcated, including spirit mountains, burial grounds, chrops (wetlands) and chraps (hunting areas) that the company had already planted with rubber and fruit trees. For the areas that were not agreed between the parties, it was resolved that the government would make a final decision about what to do. Two months before this announcement was made, following the first set of what was planned to be the final mediation meetings between communities and HAGL on outstanding issues, the company unilaterally withdrew from the mediations and told the communities to seek a resolution from the Cambodian government. In light of the company’s move, and because the IFC became newly exposed to HAGL through 2016 and 2017 investments in two Vietnamese banks that provide finance to HAGL – TP Bank and VP Bank – the communities submitted a second complaint to the CAO, demanding a compliance investigation. The first complaint is available here. The second complaint is available here. A human rights impact assessment conducted by IDI and Equitable Cambodia is available here. The CAO assessment and progress reports, as well as Joint Statements issued by the parties, are available here.